I am the luckiest girl in the world. Ray has been mastering his Eggs Benedict on Sunday mornings, which has in turn, inspired me to start shooting his culinary feats. 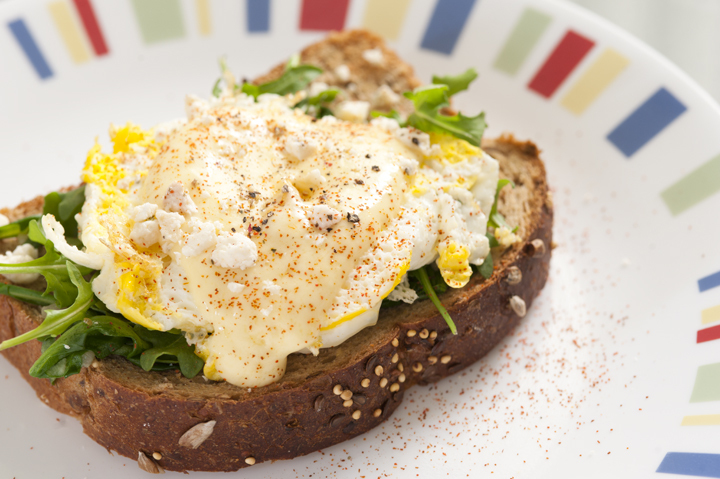 This past Sunday, a single fried egg on a bed of peppery arugula, atop a slice of 9 grain and seed toast. He added Hollandaise (from Trader Joe’s), Feta crumbles, and some cayenne and black pepper for a little kick.